The disappearance of a teenage girl in upstate New York sets off a powder keg of accusations, bigotry, and fear-with deadly results-in Suzanne Chazin's stunning new thriller featuring Hispanic police detective Jimmy Vega. On a frigid, January night, a blond, blue-eyed high school girl walks out of an English class she tutors for immigrants-and vanishes. Suspicion quickly falls on the men she was teaching, many of whom are undocumented. As disturbing evidence trickles in, news of the incident spreads beyond the scenic town of Lake Holly, New York, unearthing deep-seated fears and enflaming cultural tensions. For county police detective Jimmy Vega, the situation is personal. His girlfriend, Harvard-educated attorney Adele Figueroa, heads the immigrant center where the teen volunteer disappeared. If Vega can't find the girl soon and clear Adele's clients, the place of refuge may be forced to shut its doors. Still reeling over his own recent career missteps, Vega does his best to run interference between Adele and the local police. But when Vega's boss assigns him a grunt detail working for the new county supervisor, the man's political ambitions clash with Vega's deepest convictions. Vega can't imagine a worse turn of events-until he uncovers even darker forces at play. Someone wants to destroy far more than Vega's career. And no matter which way he turns, every step will put him and his family in the killer's cross-hairs. 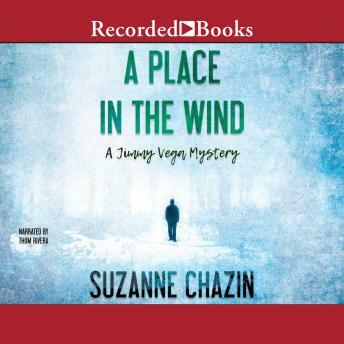 Author bio: Suzanne Chazin won widespread acclaim for the Jimmy Vega series, including Land of Careful Shadows, A Blossom of Bright Light, and No Witness But the Moon. She is also the author of the Georgia Skeehan mystery series, including The Fourth Angel, Flashover, and Fireplay. She has twice been the recipient of the Washington Irving Book Award for fiction. Her fiction, essays, and articles have appeared in numerous magazines and newspapers, as well as the award-winning short story anthology, Bronx Noir. She lives in the New York City area. Visit her on Facebook or at www.suzannechazin.com.